Two suspect wanted in connection with an assault and robbery were quickly apprehended by Elk Grove Police early yesterday afternoon. Sometime before 1 p.m., officers responded to a robbery that took place on the 9800 block of Castelli Way. One suspect identified as Terrance D. Boxley, 26, of Sacramento allegedly grabbed the victims necklace as she was opening the truck of her vehicle. Boxley pushed the victim backwards causing injury as he grabbed the jewelry that subsequently broke. Boxley ran to an awaiting car driven by a female accomplice, Parrish Smith, 29, of Sacramento. 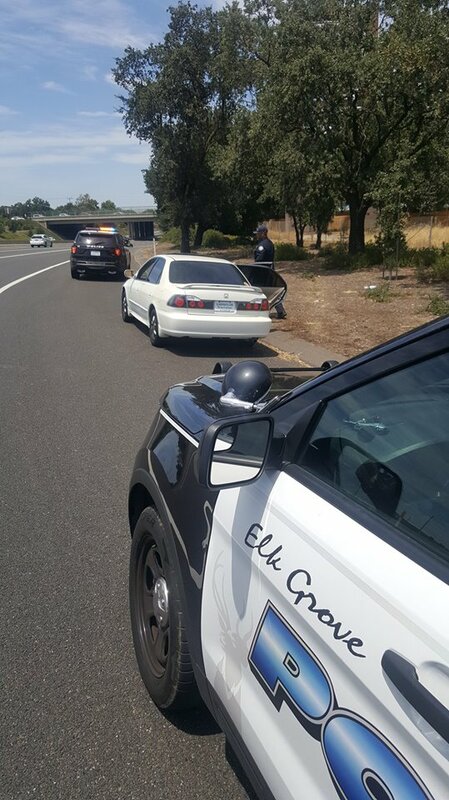 A patrol unit located the getaway vehicle as it was entering northbound Highway 99 from the East Stockton Boulevard entrance. After stopping the suspects, a record check revealed that Boxley was on parole. Boxley and Smith were booked into the Sacramento County Jail where they remain in custody. Both will be arraigned tomorrow.